It is good to see an upsurge in public support for a People’s Vote. As we stumble on towards Brexit it is right that we should have our say, once the details of the final deal are revealed, in the decision that will affect our lives and those of our children. 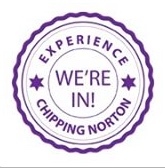 Please visit our stall on 22nd September, in front of the Town Hall steps, Chipping Norton, sign the petition and discuss the latest developments with us. We shall be there between 10 a.m. and noon and look forward to seeing you there! On page 23 of Chipping Norton News there is an article about Rowena Verity’s recent sailing adventure in The Clipper Round the World sailing race. The article correctly states that she will be guest speaker at the Chipping Norton Yacht Club later this month. The date given is however wrong – the talk is on the Wednesday 26th September. The article implies that people may just turn up on the night. Although we do welcome non-members (especially potential members) there is a guest fee of £5 and they must pre-book, and choose their meal (£18). Those interested should visit https://cnyc.co.uk to make contact.